VANCOUVER – Two key British Columbia cabinet ministers are expected to outline the government’s next steps Thursday on the Trans Mountain pipeline expansion after campaigning against the project. No details have been provided about the announcement by Attorney General David Eby and Environment Minister George Heyman, but the future of the $7.4-billion project has been heavily scrutinized since the NDP government came to power. 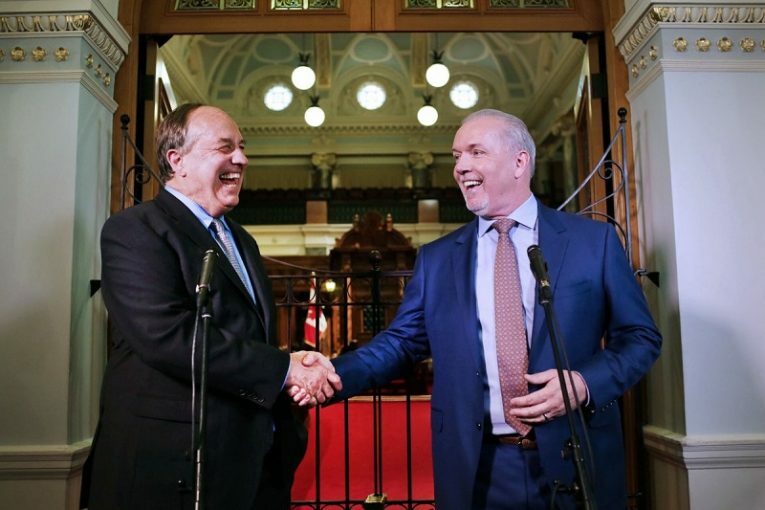 Premier John Horgan promised on the campaign trail earlier this year to use “every tool in the toolbox” to stop the project, but a mandate letter to the Heyman softened the language, saying instead that he must “defend B.C.’s interests in the face of” the expansion. Last month Eby said the province would not artificially delay permits for the project, because doing so would risk a costly lawsuit from proponent Trans Mountain, a subsidiary of Kinder Morgan Canada. Several First Nations and municipalities have filed legal challenges against the expansion, which would triple the capacity of the Alberta-to-B.C. pipeline and increase the number of tankers in Vancouver-area waters seven-fold. The project has been approved by Ottawa and the province’s former Liberal government. Trans Mountain says construction is set to begin in September.